If you need to get an ignition interlock device (IID) installed in your vehicle, you’re in the right place. ALCOLOCK has dozens of ignition interlock device locations in Florida for your convenience. The law requires that you have your IID installed by a Florida state-approved vendor who can follow the court order, monitor your progress, submit reports, provide training and routine service, as well as remove the ignition interlock device when your program is complete. This is not a do-it-yourself project where you can buy a device on Amazon and install it yourself. Your trained technician can perform the ignition interlock device installation and training quickly, so you can begin your restricted driving program. Florida law requires you to have an ignition interlock device installation if you’ve been convicted of a DUI. As a Florida resident, you will have to apply for a hardship license stating that you can’t serve out your license suspension because not driving would cause undue hardship. If you drive to work or school, and not driving would impact your ability to work or ability to complete your education, you should be able to qualify for a hardship license. 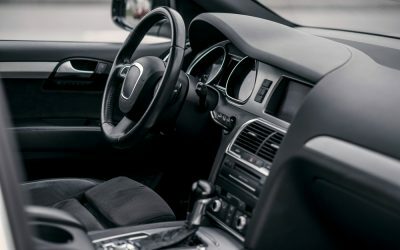 Once you get your hardship license, you can schedule your installation at a state approved vendor, and then use and maintain the device as laid out in your court order, until you have completed your restricted driving program. The installation and training should be completed in about an hour. If you’re not familiar with how ignition interlock devices work, here’s a quick overview. You can find more detailed information in one of our FAQs on ignition interlock devices. In a nutshell, ignition interlock devices are car breathalyzers, mandated by the state of Florida. The IID is connected to your vehicle’s starter. When you blow into the handheld device, the system will detect if there is alcohol on your breath. If there is, you fail the breath alcohol content (BAC) test, and you won’t be able to start your car. The system prevents the starter from working.If you haven’t been drinking and you pass the breath test, you will be able to start your vehicle like you normally would. You should know that ignition interlock devices are highly sensitive to alcohol. They can detect the tiniest amount of alcohol on your breath, and if you have a breath content higher than the state allows (generally around .02), you will fail the test, and the device will record that you failed the test. Because of this, we suggest that you rinse your mouth with water before you take the breath test. You should also avoid things such as mouthwash, cough medicine, or energy drinks. All of these items can contain enough alcohol to cause you to fail the test. 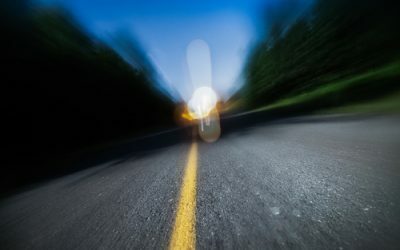 After you’ve been driving for a while, the ignition interlock device will start sending you reminders to take occasional “rolling retests” to make sure you didn’t start drinking after you started the car. We advise against submitting a breath sample while the car is in motion. The device sends you an audible and visual signal several minutes before you have to do the rolling retest. You will have time to pull over or find a place to park your vehicle before you submit a breath sample. Even if you fail a rolling retest, the device will record will not shut down the engine. This is for safety reasons, in case you did actually take the rolling retest while the car was in motion. But if you fail the test or skip a rolling retest, the device will record that. Your court paperwork will specify your program requirements, and the FLHSMV paperwork will give detailed information as well. 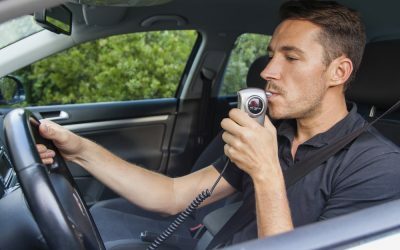 Fair warning — if the FLHSMV finds that you have violated the program by trying to tamper with or disconnect your ignition interlock device, or tried to bypass the breath test by having someone else blow into the device, the department will immediately drop you from the restricted driving program and reinstate your suspension. Your service center will remove your ignition interlock device if you’re suspended from the program, or when you have successfully completed your restricted driving program. ALCOLOCK has more than 70 ignition interlock device installation locations in Florida, from Pensacola to Miami, and dozens of locations in between. Our goal is to see you succeed in your restricted driving program. Get started by scheduling your ignition interlock installation with one of our approved vendors in Florida today. The list below can help you choose the Florida ALCOLOCK location that’s closest to you.